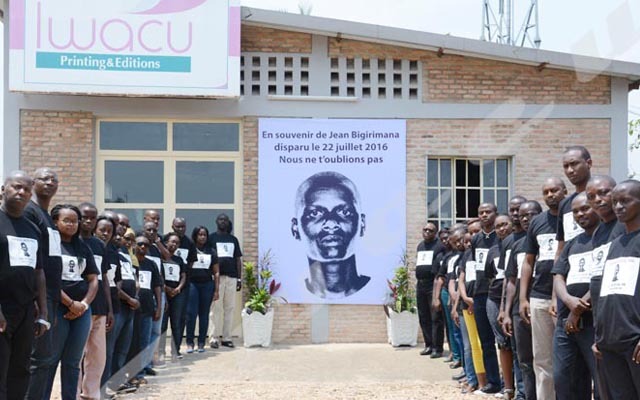 While the world celebrates the No Hitting Day for Children on 30 April, Burundi Teachers’ Union –STEB appreciates the progress made since the physical punishment on children was abolished. “Some teachers used to exaggerate when punishing pupils until they could faint,” says Rémy Nsengiyumva, STEB chairman. He also says some teachers were involved in the violation of education regulations especially those teachers who could be in close relationship with their pupils. Nsengiyumva refers to the last failed killing of a student by her teacher after he has impregnated her at Mweya Fundamental School in Gitega Province. “We are eager to fight violence against children in schools,” says Nsengiyumva. “New school regulations prohibit physical punishment. However, there are other forms of punishment such as sending pupils back home and asking them to come back with their parents,” he also says. Joseph Ndayisaba, an educational psychologist, says any form of violence or coercion such as injustice, sexual violence in exchange for marks, corporal punishment… against the learner by the educator is child rearing violence. He says teachers must control their anger when punishing learners. He says they have to tell the pupils the mistakes they have made and be good models before imposing sanctions. “Each child must know the kind of mistake s/he has made and which sanction must be applied. Teachers should adopt another form of punishing pupils instead of focusing on corporal punishment,” he says.